The American Diabetes Association states that the glycemic index measures how much carbohydrate containing food raises blood sugar levels. Certain foods, including wheat germ, have a low ranking on the glycemic index scale. A low ranking means that this food contains no added sugars and is usually high in dietary fiber. The Mayo Clinic states that the glycemic index ranks foods according to how much they raise your blood sugar levels. A food that raises your blood sugar levels significantly will have a higher glycemic index than a food that does not raise your glycemic index as much. Foods on the glycemic index are ranked on a scale of 1 to 100. The only foods on the glycemic index are those that contain carbohydrates. Foods with a score of 55 or lower on the glycemic index are considered to have a low glycemic index, according to the American Diabetes Association. Foods with a low glycemic index include most fruits, non starchy vegetables, 100 percent stone-ground whole wheat and oat bran. Foods that have a medium ranking get a score of between 56 and 69. Medium index foods include pita bread, quick oats and brown rice. High glycemic index foods have a score of 70 and higher. Foods considered high on the glycemic index include white bread, bagels, sweets and processed foods. Wheat germ is the embryonic center of a wheat grain. The wheat germ is usually removed from refined grains during the milling process. 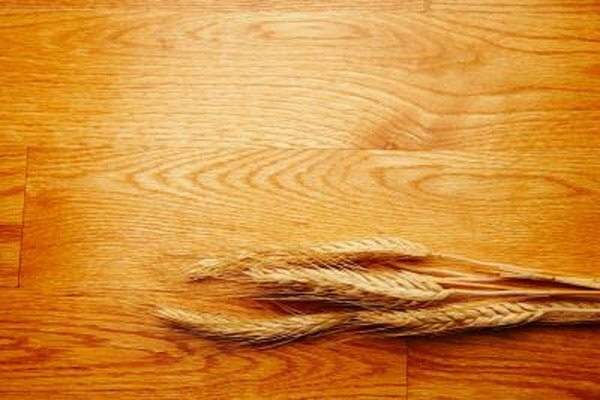 The germ is only present in whole wheat and non-refined grains. The center of wheat germs contain a highly nutritious oil. Alive.com states that the oil in wheat germ contains many minerals, including calcium, iron, magnesium, potassium and zinc. Wheat germ is a great source of dietary fiber, according to Alive.com. Foods that have a high level of dietary fiber are low on the glycemic index; as a result, wheat germ has a glycemic index value of 15 according to Montignac.com. Wheat germ is found in stone ground whole wheat. The wheat germ is very nutritious, since it helps to build strong bones and regulate the blood. Whole wheat grains do not raise blood sugar levels as much since they contain the whole wheat germ. You can find wheat germ at your local grocery store or at an organic food store. Wheat germ can be sprinkled on your food or in your beverages. Or, look for foods that are made of 100 percent whole grain, according to Alive.com. Mix in plenty of other types of food while eating according to the glycemic index. You need nutrients from all different types of food for your body to function properly.